On a beautiful moonlit night, this couple enjoys a sparkling romance. 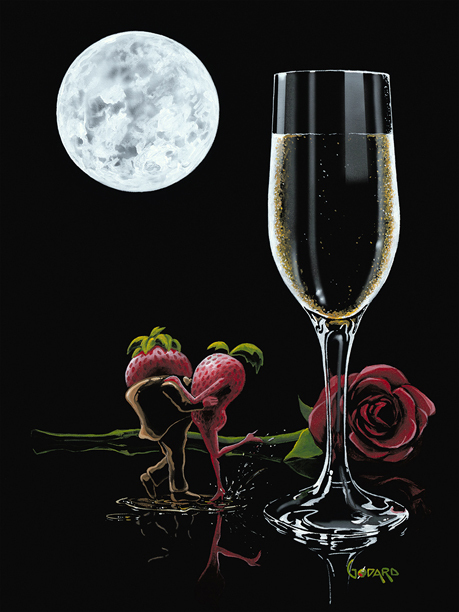 The female strawberry splashes the champagne with her heel after her gift of a long stem red rose from her man decked out in chocolate. The glass of champagne is the perfect way to celebrate a "Sparkling Romance".